Is hair transplantation a permanent solution? Well, it is good for both men and women but it undergoes some imperative process. Hair transplant is the latest trend not only for those people who are suffering from loss of hair but even it is preferred by those who want to change their hairlines. It is a process done with the aid of surgery in which follicles of hair are removed from any portion in the body like legs, face or placed them on the part where hairs are not present. This procedure can also be used for hair transplanting in eyelashes and brows. The method is very new and permanent as they pick up follicular hair clusters. Therefore, it is known as follicular hair transplantation. It can be performed in two different techniques strip harvesting and follicular unit extraction. It is mostly done by surgeons nowadays what they do is they leave thin scar at the donator site and it get recover within time period of two weeks. This is time consuming procedure both for patient and surgeon but it delivers good result and does not leave marks. Also it is not much costly. In the first step of this surgery follicle of hair are taken away from the back of the head and again it is located to the area that is bald. Before starting surgery hair of donator area are trimmed. After trimming of donator area local anesthesia is provided. 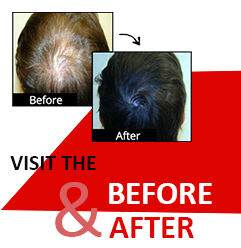 Stitched area is present under the combed hair and stitches are extracted after the surgery of hair transplant. Surgical technicians use microscopes to see donator tissue and follicular units get ready. After giving local anesthesia to patients the bald receiver area get ready for the surgery. There is no need of removing hair at the top of this area. Follicular units are kept in tiny cuts which are not in regular patterns in the receiver area. One or two grafts are placed in front of the hairline and three or four behind. Small surgical cuts would be seen with short hair on affected area after performing surgery so there is no need to worry. The cuts will heal slowly and redness will also disappear within a time period of a week. So, you can get a good look with hair transplant Punjab if you are in thirties.